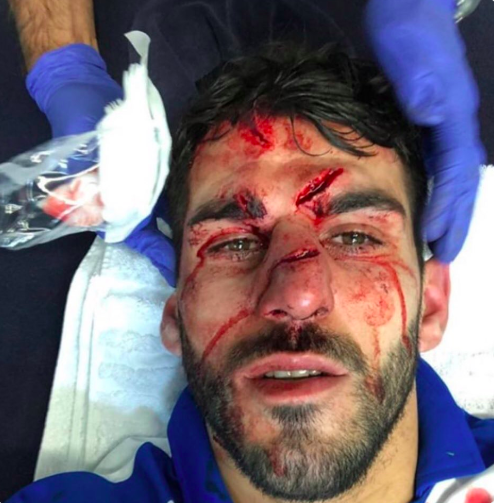 Reading's Portuguese striker suffered a gruesome facial injury during Saturday's 0-0 draw against Aston Villa and the picture of the aftermath is quite something. The incident occurred in the second half after Villa debutant Tyrone Mings won a clean tackle against the forward. As a result, however, Oliveira hit the turf and Mings' momentum carried him over the Reading player causing him to step, with some force, onto the striker's face. Whether it was intentional or not, as you can see, the results weren't pretty. For his part, Mings has since apologised on Twitter, although Reading fans will be quick to mention the defender's past history - you might remember his heated tussle with Zlatan Ibrahimovic from two seasons ago, for which he suffered a five-match ban for a stamp he insisted was accidental. Ibrahimovic, meanwhile, was guilty of a very clearly deliberate elbow to Mings' head and was handed a three-match ban of his own. Unfortunately the game itself wasn't anything to write home about, although Tommy Elphick hit the bar for Villa with a header and Tammy Abraham spurned a great chance to keep up his incredible goalscoring run for the club. 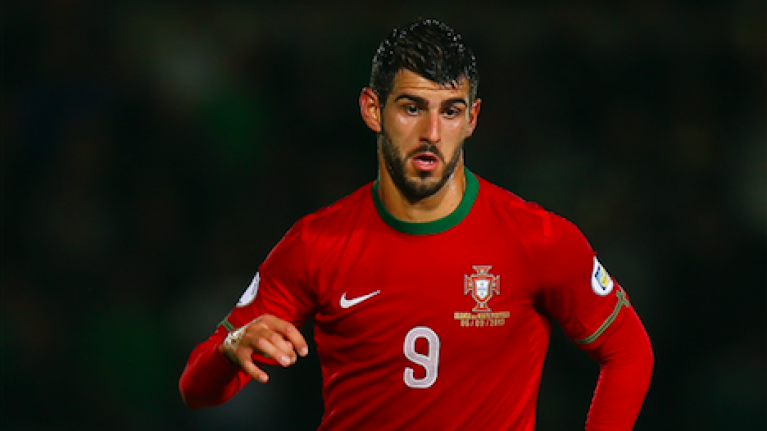 Reading confirmed on the club's official Twitter page after the game that Oliveira was fully conscious but had been taken to hospital as a precaution. Get well soon Nelson.